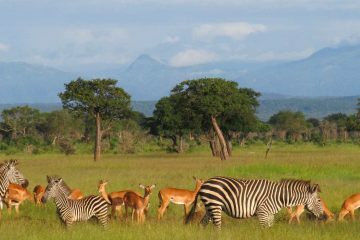 Off beaten track Tanzania is the theme for this package. 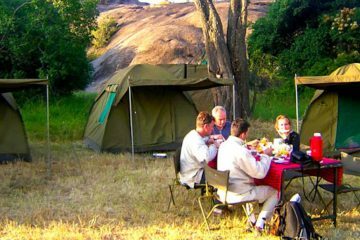 Our 10 days Safari in Tanzania is a lodge safari in Northern Tanzania Circuit though it can also be taken as a basic Camping Safari. 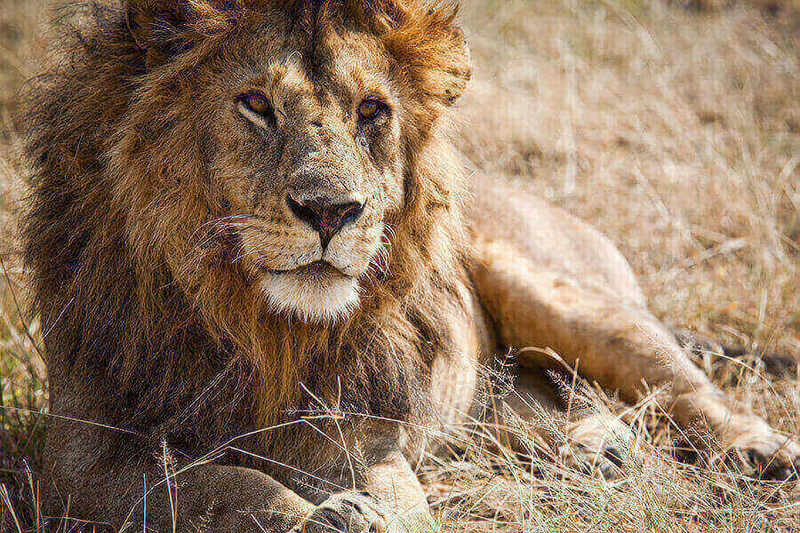 This safari takes you not only to the prime wildlife game parks and reserves including Serengeti, Ngorongoro Crater and Lake Manyara National Park, but also offers you the rare chance to experience the cultural part Africa. This tour gives you the rare chance to get closer to the only remaining hunter gatherer tribes of the Hadzabe and Datoga people who still make a living from hunting small wild animals and gathering of wild fruits. They are also refereed as the Bush men. Oldoinyo Lengai Mountain – Off beaten track Tanzania. Being the safari to the less traveled places in Northern Tanzania, the tour also takes you to The Lake Natron where all flamingos of East Africa converge every year for breeding before they disperse to their respective lakes. Here you will also get a chance to get out of the car and engage in active hiking at the Engaruka ruins and take a walk up to the water falls for a refreshing atmosphere after spending some time in the car. The hiking is not very physical so it can be taken by travelers of all ages provided that they have some amount of fitness. Persons with difficulty in walking can simply stay at the camp at Lake Natron while others go for the hiking. The camps offer very relaxing atmosphere with stunning views over the plains and the fulfilling sights of the Oldoinyo Lengai Mountain which is an active volcano in Northern Tanzania. The volcano’s name in the Maasai language literally means – ‘God’s Mountain’. 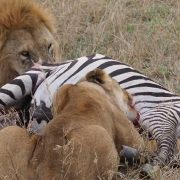 Like all the safari packages that we offer you can also combine this off beaten track Tanzania safari; 10 Days Tanzania Safari Itinerary with beach extension in Zanzibar or make a beach vacation extension in the less traveled islands like Pemba or Mafia Islands, or the Swahili Coast off the Tanzanian mainland. On arrival at the Kilimanjaro International airport you will obtain a visa at the immigration department in the airport a process that will take you a few minutes. As you emerge to the arrivals hall you will be met by our representative who will meet and assist you to a waiting car which will transfer you to a lodge around Arusha. On arrival at the lodge you will check in and have a few minutes talk with our safari manager who will brief you on your safari. Overnight at Planet Lodge or a similar lodge. Dinner included. After your breakfast you will take a walk at the Lake again if you wish and thereafter leave for the Serengeti National Park. You will cross the Loliondo Game Controlled area where apparently the wildebeests herds cross on and around November and December when they are coming from Masai Mara in Kenya. After the registration formalities at the Klein’s Gate you will go for game drive in the vast plains of the Serengeti National Park (on your way to the lodge) where you will get the chance to see lots of animals and bird life alike. Among animals that can be seen here includes the zebras, buffaloes, baboons, topis, impalas, cheetahs, leopards and the recently introduced Rhinos, which were the only member of the big Five that was missing in this park. Overnight at Thorntree Camp. All meals included. Safari in Tanzania is not complete without a visit to Serengeti National park. At day break you are out to the Serengeti plains for a sunrise game drive that normally offers the only chance of sighting the nocturnal species retiring and also the diurnal species waking up to a new day before you go back for breakfast. After breakfast you will leave for a full day of game drives exploring the Serengeti. Depending on the season and time of the year, this is where you will witness the magnificent natural phenomenon of the ‘Great migration’ where more than one and a half million wildebeests accompanied by hundreds of thousands of gazelles and zebras brave the crocodile infested rivers and cross the border into the Masai Mara in Kenya in search of green pastures and water. The resident animals and birds that stay all year round in Serengeti makes sure that the park is must visit whenever one travels to Tanzania. Later in the afternoon you will drive back to the campsite for dinner and overnight. 02 x Overnight at Thorntree Camp. All meals included. 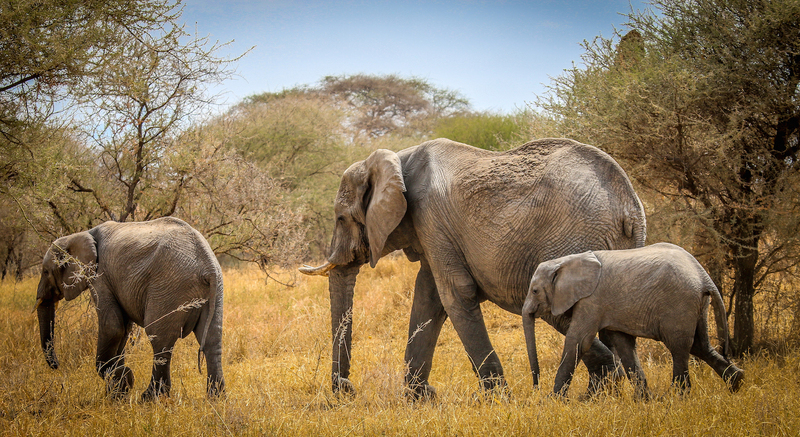 Lake Eyasi - Tarangire National Park. 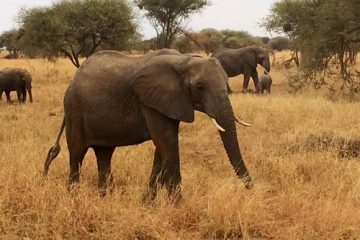 One last game drives in Tarangire or go for a nature walk at the boundaries of the park with the guidance of a Maasai warrior or an armed ranger. After breakfast you will check out of the lodge and rive back to Arusha. Depending on your schedule you will be transferred to Kilimanjaro International Airport for departure. Prices on Request – Claim for your Discounted price for this safari for couples and families. 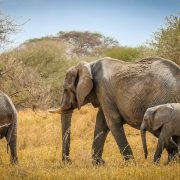 You can book this Tanzania Safari for 10 days as it is or contact us if you wish us to customize the tour to include middle class accommodation, or if you wish to stay in more Deluxe ones. The tour is fully customizable and can also be combined with a beach Zanzibar extension or a pre-safari Kilimanjaro climb.